Being new to iron-on, I found myself at first a bit overwhelmed with all the different types of iron-on materials to choose from. 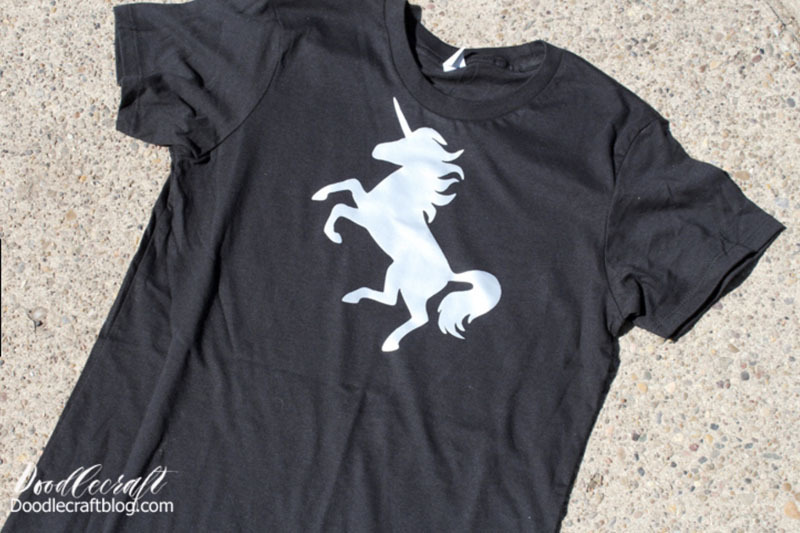 While it was exciting to jump into trying everything from Glitter Iron-on™ to SportFlex Iron-on™, it took me a while to understand how each differs and what are some of the tips and tricks to know for each type. So, I decided to write this blog to help out fellow newbies discover what makes each unique and great in their own way. Check it out and leave a note in the comment section if it was helpful or have questions we can answer in a future blog. Everyday Iron-on™- Versatile, durable and easy to use. This is my go-to iron-on material. I definitely recommend newbies like myself to start here. With over 28 different colors plus a large selection of samplers (rolls of three 12” x 24” sheets that come in different colors), there are a lot of options to choose from. 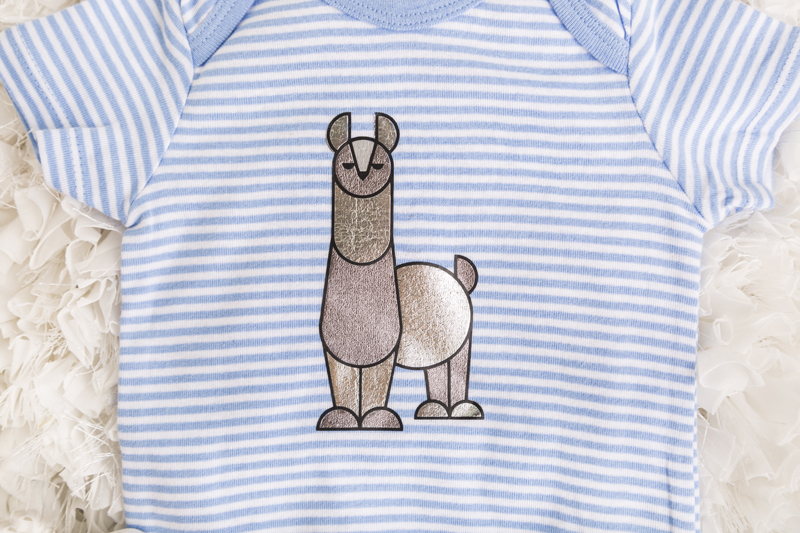 Once you have done a few basic iron-on projects, take a look at all the different colors and try layering. 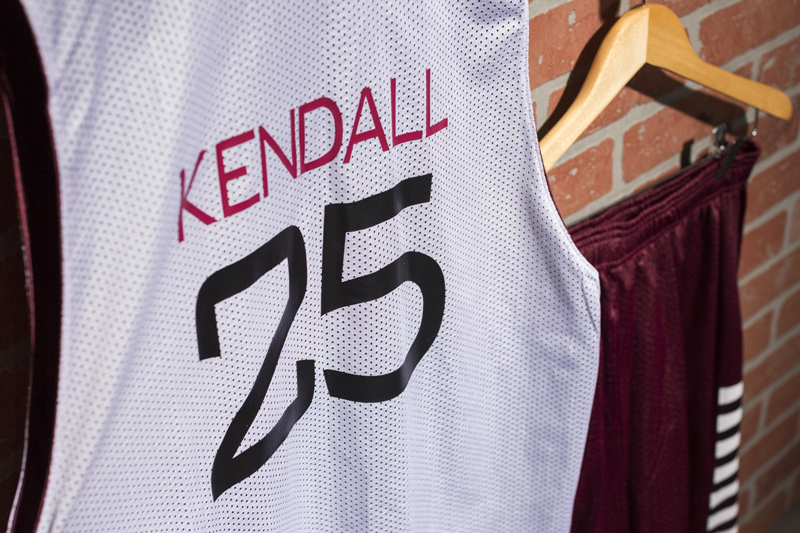 Everyday Iron-on is the one type of HTV that can be used as a base layer and then layer on top of it any other type of heat transfer material. Along with being versatile, it is also durable (if used as directed, will survive 50 plus washes), and it is really easy to weed (weeding is the process of removing negative iron-on film, leaving only the desired cut image on the liner). TIP: Use warm peel technique when using Everyday Iron-on. What is warm peel? This refers to the process of peeling the plastic backing off the iron-on AFTER you have applied it to your material. Warm peel means you can pull off backing right away (while still warm from EasyPress or home iron). Take a look at the FAQ page for additional application and care instructions. 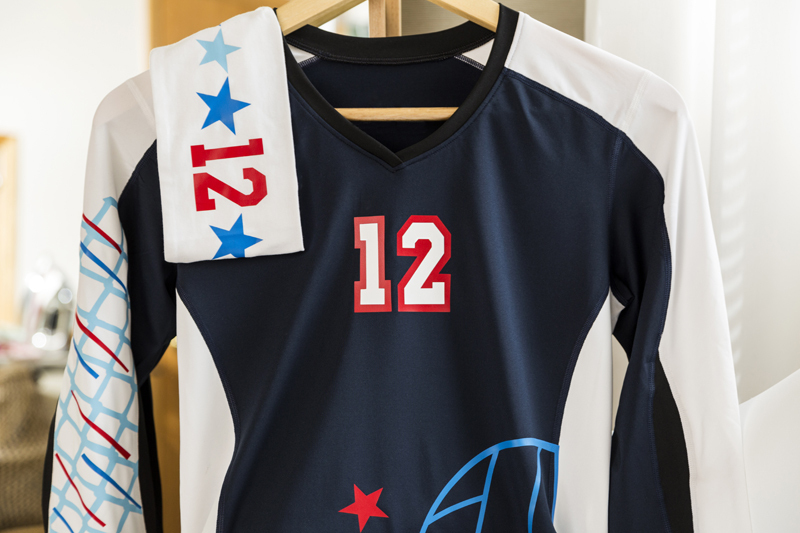 SportFlex Iron-on™ - If it stretches, use SportFlex. SportFlex Iron-on has been on my craft table and under my EasyPress a lot over the past few weeks. I have been making custom jerseys for myself and a few friends from college for the upcoming college football season and the polyester jerseys I bought definitely have a bit of stretch to them. This is the one iron-on material that is dependent on the type of fabric you are heat-pressing it to. There is nothing tricky or challenging about applying SportFlex, just know that you can’t layer using it. Not a big deal, just be mindful when considering your designs. Like Everyday Iron-0n, it can be washed many, many times (it too comes with Cricut’s StrongBond™ Guarantee). TIP: Use warm peel technique with SportFlex Iron-on. Learn more about SportFlex Iron-on cutting, application and care instructions here. Ok, this is where iron-on gets really interesting from an artistic perspective. I have been focused so far on iron-on performance for the most part. With Patterned Iron-on it is more a story around having options to select on-trend patterns that speak to your own design sensibilities. They come in a variety of different samplers (three, 12” x 17” sheets) offering up three corresponding design patterns. Recently, I attempted a reverse canvas project using Cricut Nature Walk Sampler. I cut out my design using my Cricut Maker and I am now ready to apply it to a piece of canvas before remounting it to a wood frame. It looks really cool so far and I can’t wait for this weekend to finish the project. I was inspired by this Facebook Live video Jenn did recently showing how to make reverse canvas projects. And, be sure to check out the Cricut Patterned Iron-on samplers from Anna Griffin and Natalie Malan. 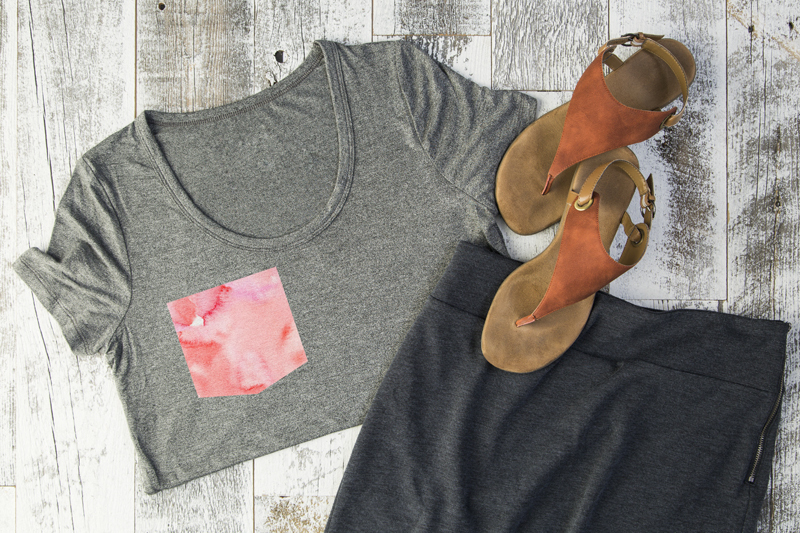 TIP: Do not use Patterned Iron-on as a base layer. It can be added on top of other iron-on materials, including itself. To learn more, check out our FAQ page. 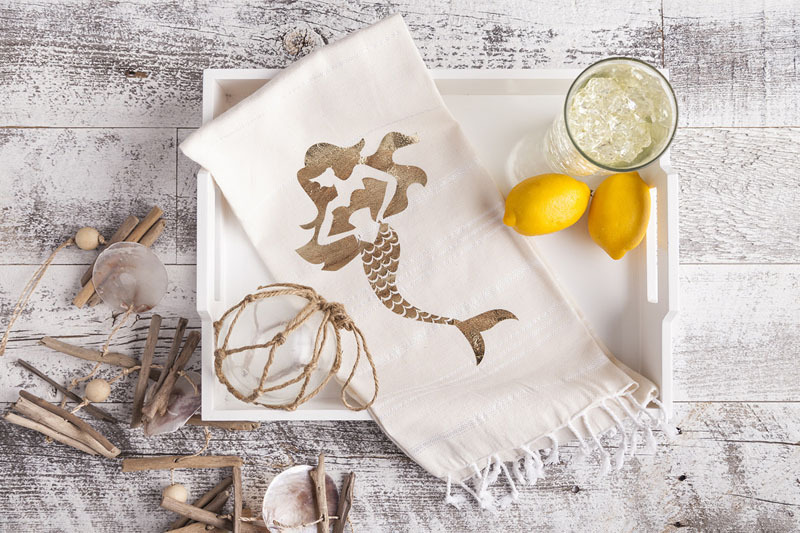 TIP #2: Use cold peel technique when using Patterned Iron-on. Cold peel refers to the process of peeling the plastic backing off the iron-on AFTER you have applied it to your material. Typically, need to wait until the Iron-on is cold to peel it off (wait about 2-3 minutes). Glitter Iron-on™ - Bring the bling! 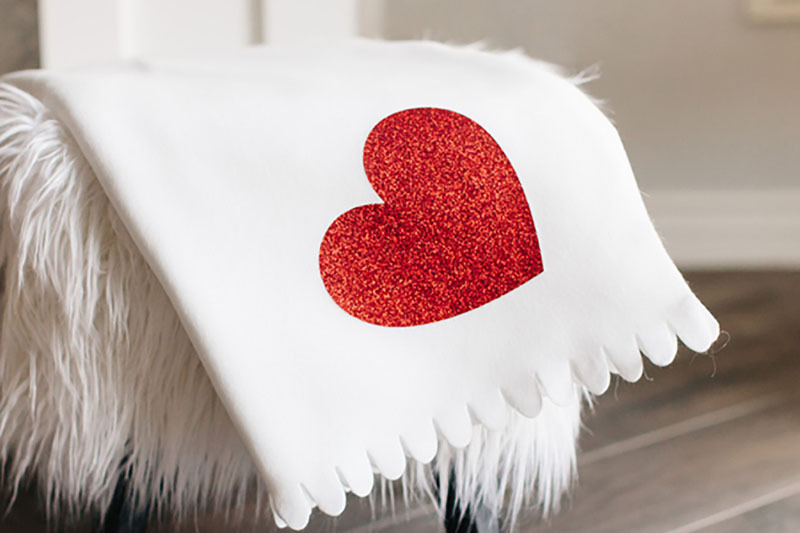 With over 30 different Glitter colors and a variety of samplers, you can create projects with a little bit of glamour and others with a splash of sass. 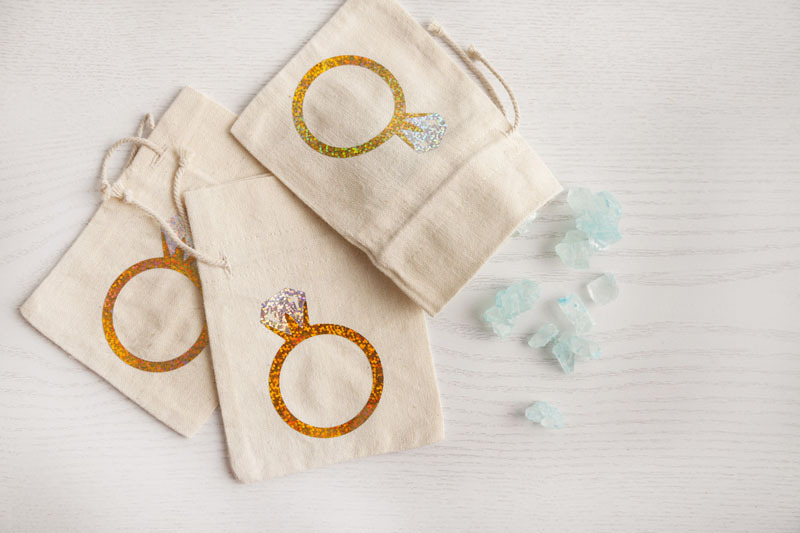 I have been adding little details to my designs using Glitter Iron-on—just a little bit goes a long way to embellish designs. I am thinking about bringing some bling to my Halloween costume using orange and black Glitter Iron-on. Let me know in the comment section below what colors you like and are considering for future projects. 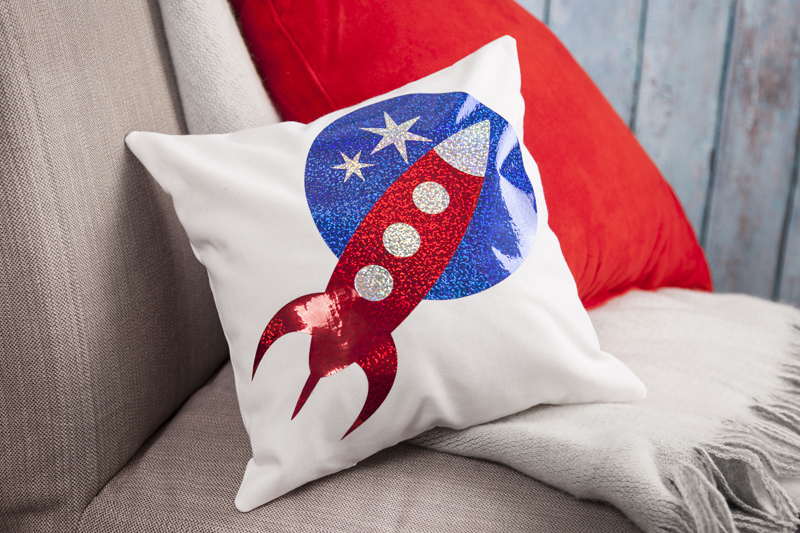 Fun fact: Glitter Iron-on is so popular, Cricut sells it in bulk. TIP: Use warm peel technique with Glitter Iron-on. 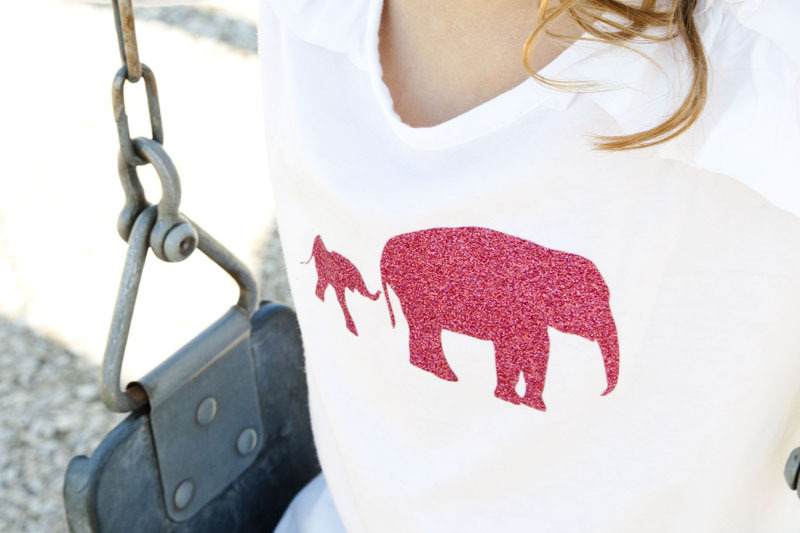 TIP #2: Do not layer any iron-on material over Glitter Iron-on. The material may seem to iron-on fine, but when washed, the material on top of the glitter layer will begin to peel away. However, Glitter Iron-on may be layered on top of Everyday Iron-on. Take a look at the FAQ page for application and care instructions. Holographic Iron-on™ - Sparkles and shines. 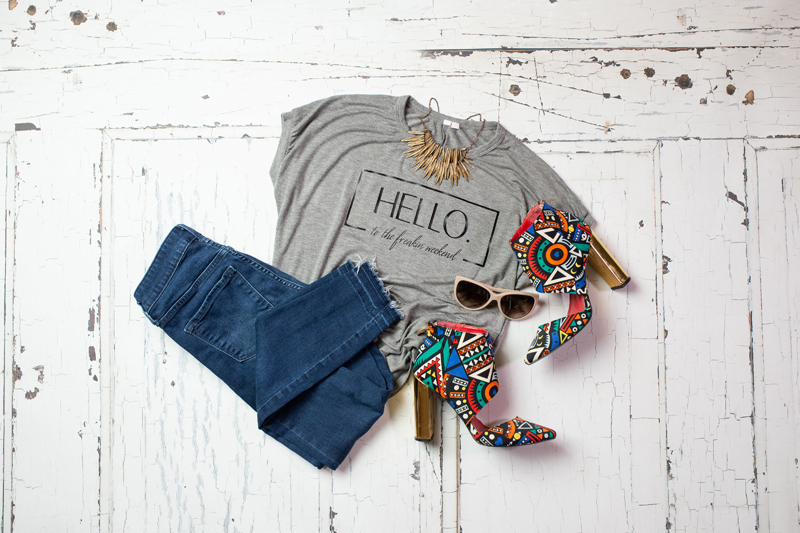 Similar to Glitter, you are certain to catch people’s attention with Holographic Iron-on. Applying a nice blue or green color really works well on water-themed designs (try out a mermaid design on a t-shirt). Also, consider using for groovy party attire or home decor in the future. TIP: Use warm peel technique with Holographic Iron-on. Foil Iron-on™ - Add some shine. Last but not least, Foil Iron-on is one of our most popular materials because it is perfect for decorating for celebrations and festivities. And, once you see how well it works with parties, incorporating it into projects that add class to your own home décor is inevitable. Its reflective surface is also perfect for embellishing apparel and accessories like the pencil pouch project I highlight below. TIP: Use cold peel technique with Foil Iron-on. There is one more “type” of iron-on that I am not covering in this blog that I would be remiss not to mention. 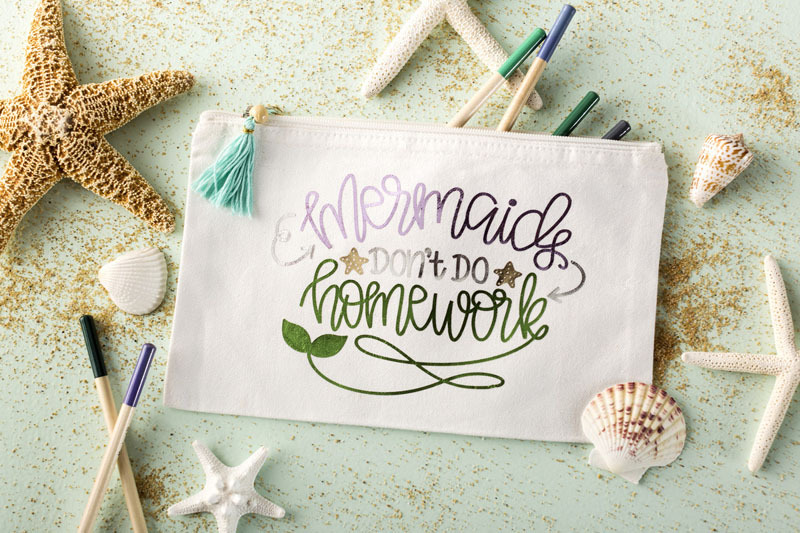 That is Cricut Iron-on Designs™. 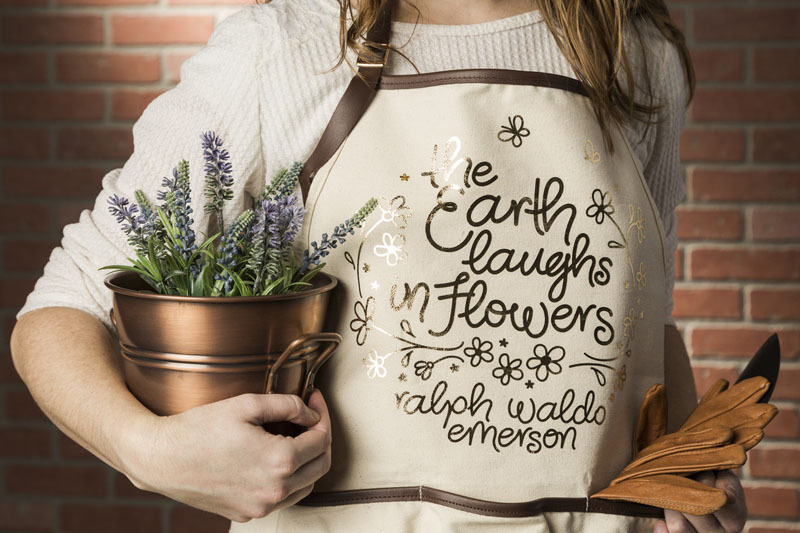 These are perfect for those looking for professional-looking apparel, home decor, tote bags and more but do not want cut or customize their designs. 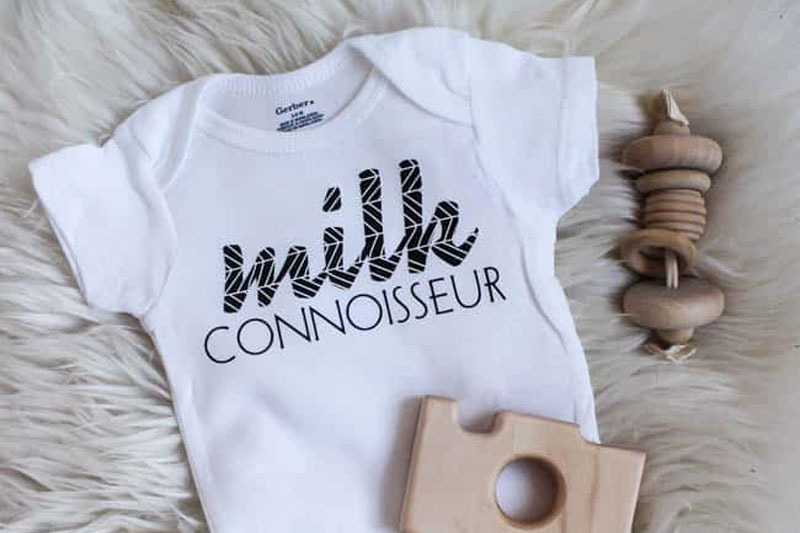 These ready-to-make iron-on designs are great options and definitely worth checking out (and, be sure to check back as we are bringing out new designs on a regular basis). I hope this information helps you understand a little better all the different options Cricut has to offer when it comes to iron-on materials. 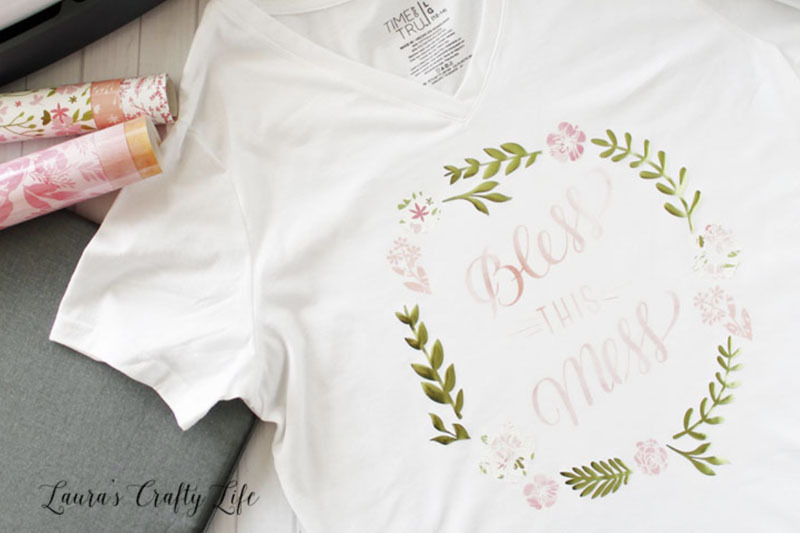 The breadth and quality of the assortment is amazing and I encourage you to try different types of materials, use different techniques and share your amazing projects with the Cricut Community! 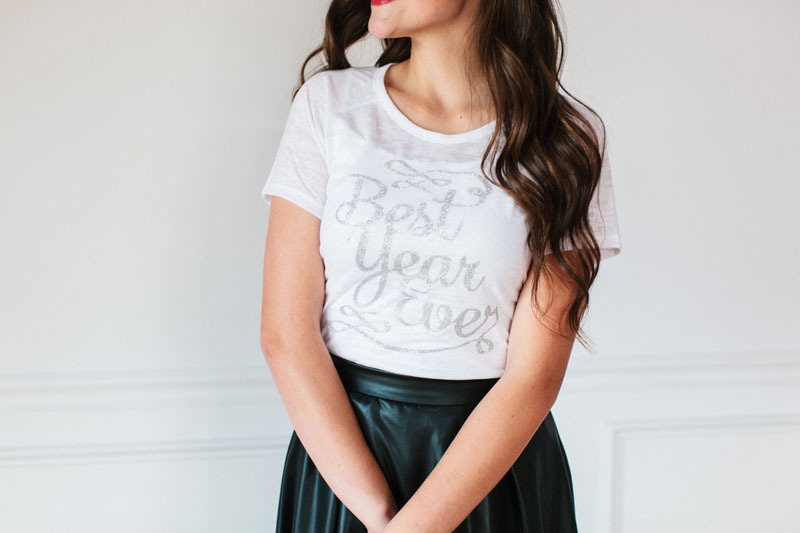 As always, if you have additional questions about iron-on, please visit our FAQ Page or reach out to Cricut Member Care at cricut.com/contact-us. Thank you soo much for this information. Yesterday i was in Michael’s and was staring at selections of iron on but not understanding the difference. This has been very helpful. The Everyday Iron-on is the new and improved version. Thank you for this blog. It was very helpful info! It would be nice if it is a spreadsheet. Thank you for the advice on using iron on vinyl. I’m using it for the first time. Thank you for the info. I am also a newbie and it can get quite confusing. Now I have a chart to go by. This was awesome!! Simple directions making it easy to understand!! Thanks for the info!